Tauhu Goreng literally means Beancurd/Tofu Fried. Interesting fact: Tauhu Goreng is the Malaysian and Singaporean spelling whilst Tahu Goreng is the Indonesian spelling. This dish is commonly found in Indonesia, Malaysia and Singapore and it is eaten as a side dish or as a meal in itself. 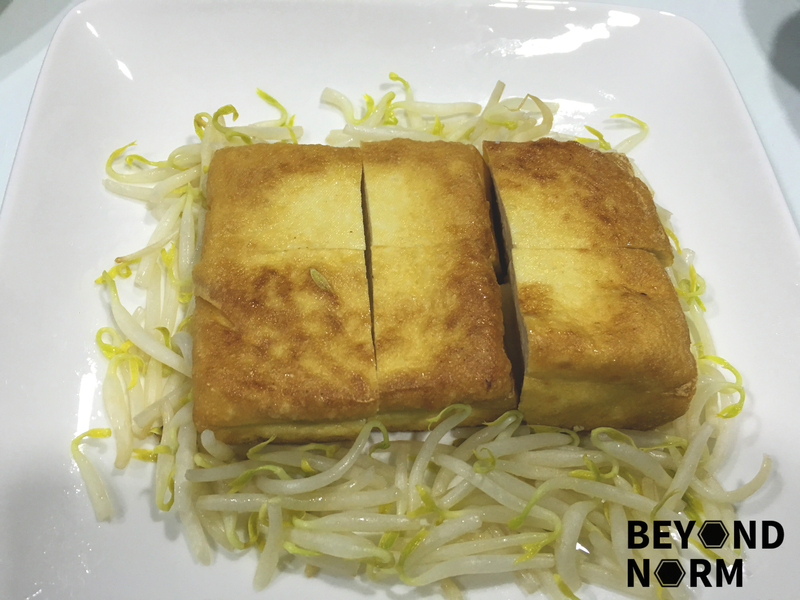 The beancurd is normally deep fried (I pan fried the beancurd so as to give me a feel that it is more healthy. Hahaha), garnished with beansprouts and/or shredded cucumbers, carrots and topped with a sweet-tangy peanut-based concoction which is super delicious! Ngom! Ngom! This is extremely easy to cook. 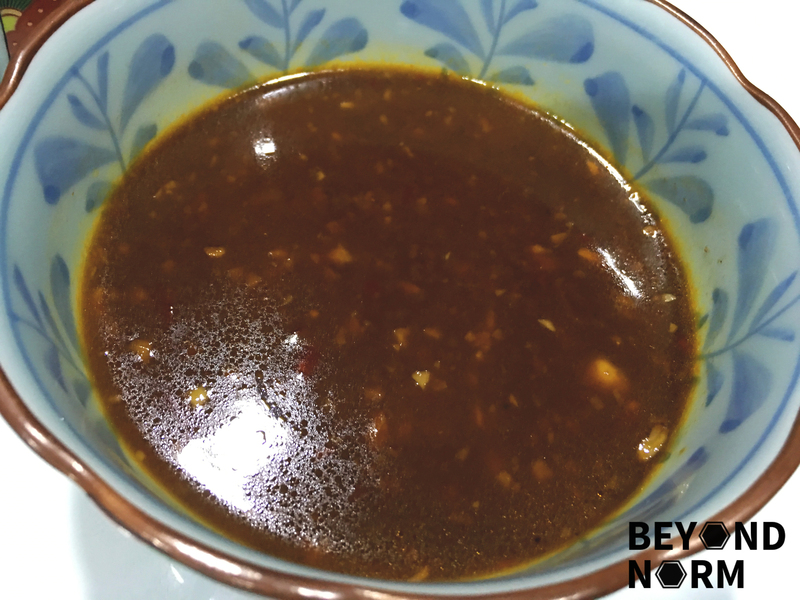 The sauce and garnishing can be made in advance, then when you are ready to eat it just fry the beancurd and it’s ready to eat. My son who is not a big fan of beancurd loves this dish too!! 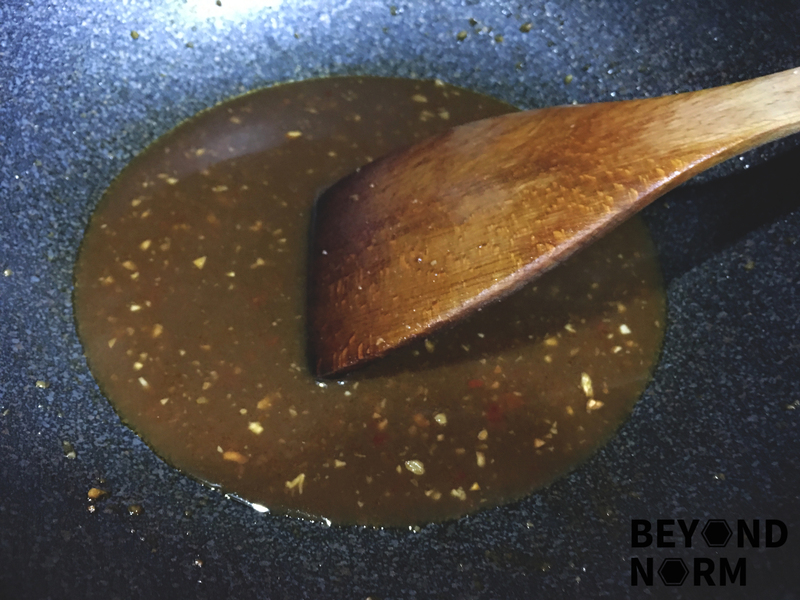 Heat up the oil in a small saucepan. Add in the chopped garlic and stir fry till golden brown. 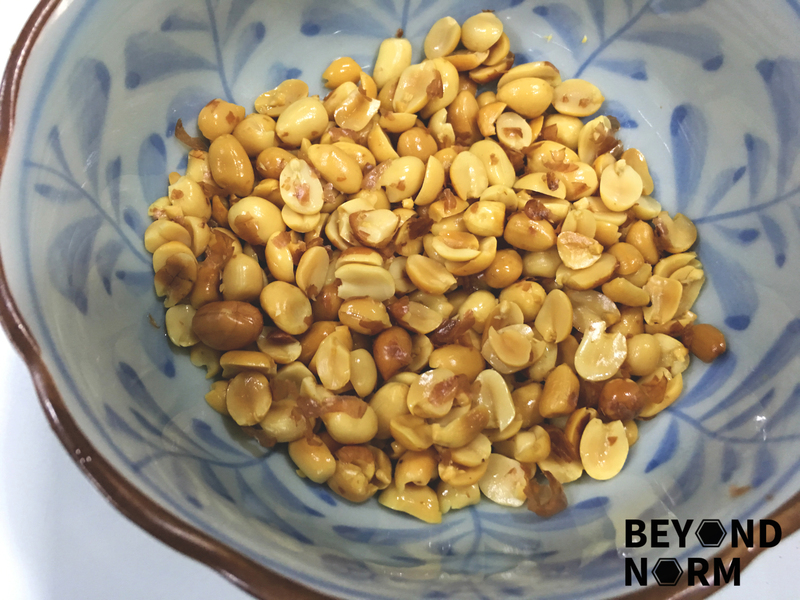 Add in the rest of the ingredients except the crushed peanuts. Combine well and simmer gently until a thick gravy sauce is formed, about 8 to 10 minutes. 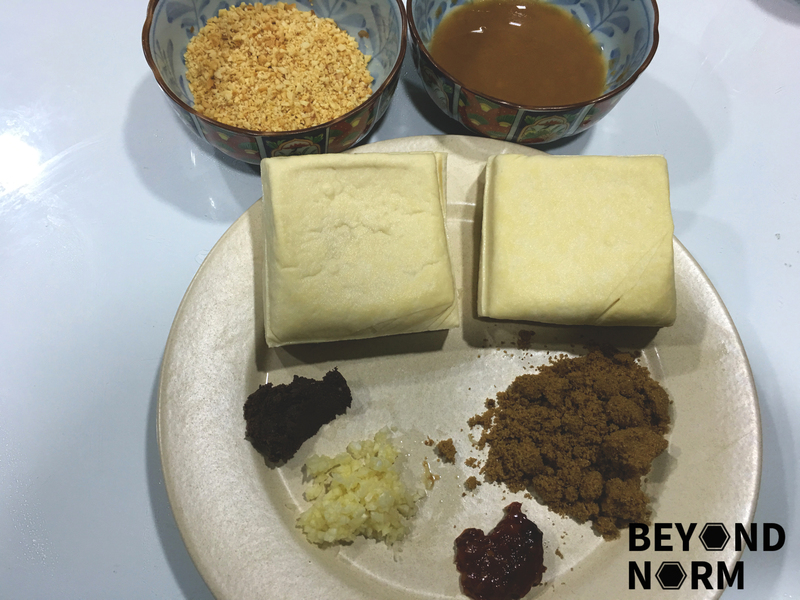 Rinse the beancurd/tofu and pat dry. 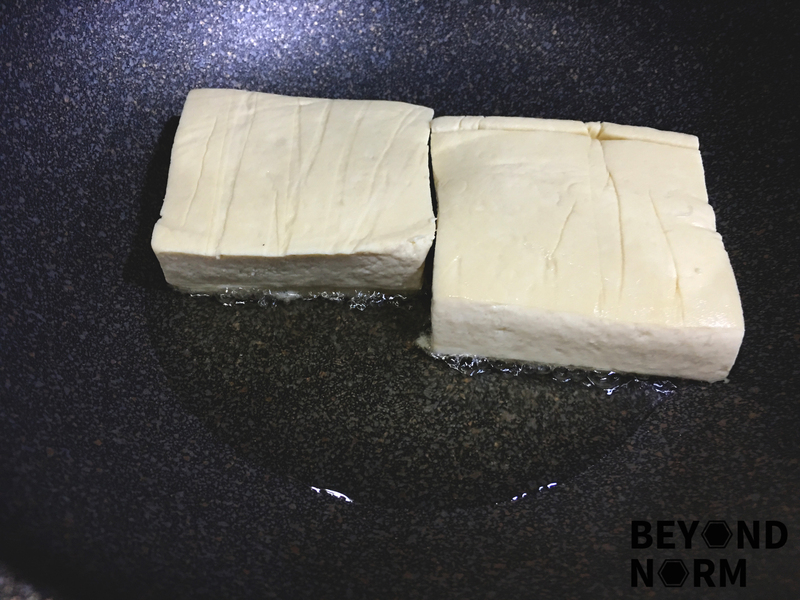 Heat up oil in the pan and pan fry the beancurd/tofu till golden. 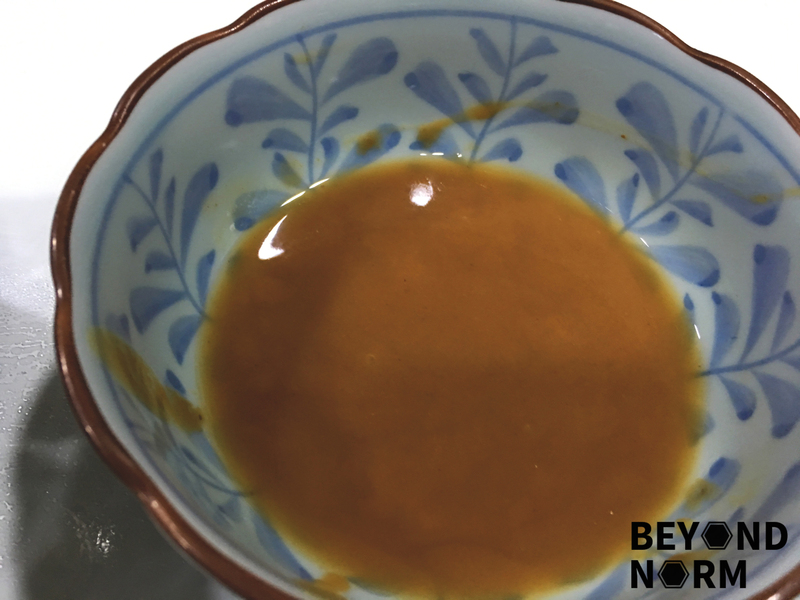 (If you are deep frying, use more oil. 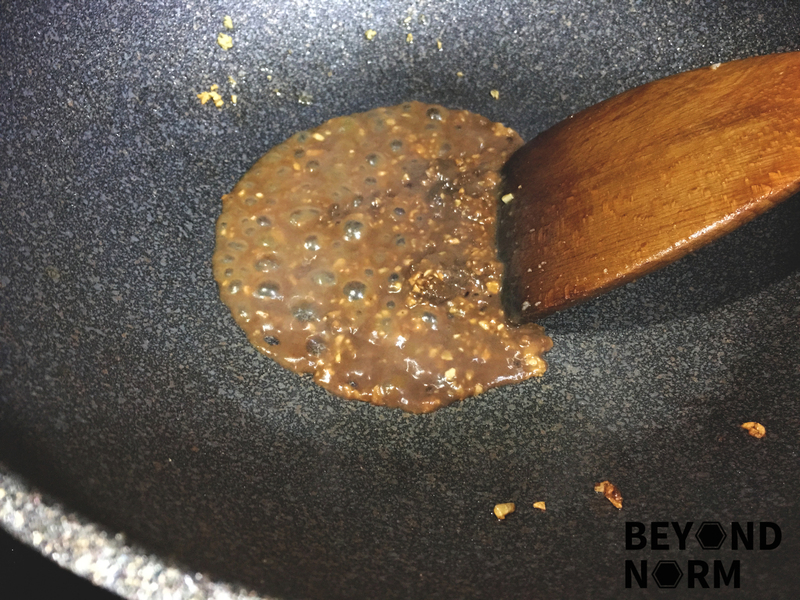 I used about 4 to 5 tablespoons of oil to pan fry). Dish out and cut into 4 to 6 cubes per tofu. 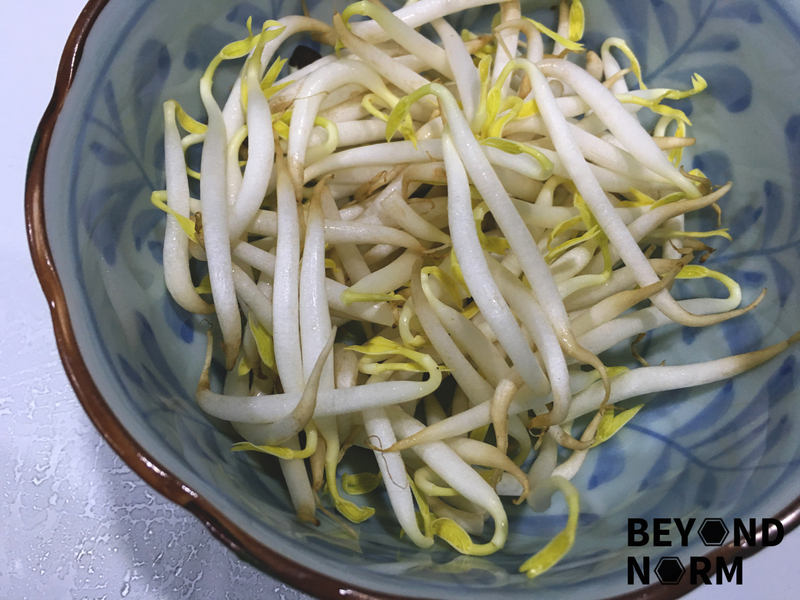 Add the beansprouts. If you are using, add in the shredded cucumber and carrots. Pour the sauce over them and top with the crushed peanuts. Serve immediately.